The seventh World Heads Up Poker Championships is upon us once again. Casino Barcelona is again the superb venue for this prestigious event, which boasts a brand new sponsor in the form of 888.com. 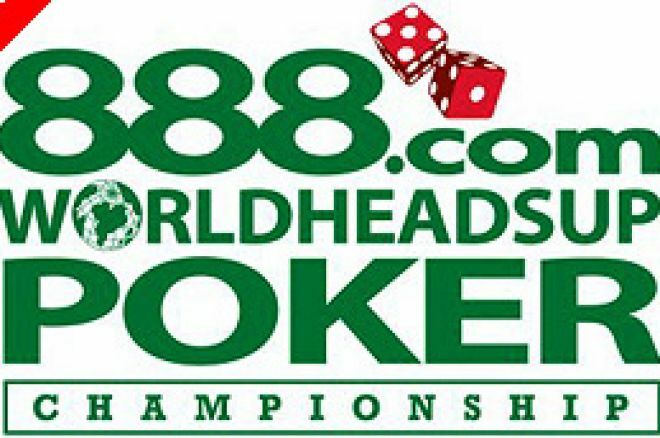 The 888.com World Headsup Poker Championship 2007, as it will now be known, will be held in Barcelona, Spain from 21-29th May. Now in its seventh year, the world championship has been held in the same venue since 2004: Casino Barcelona. If you're new to the WHUPC allow me to give you a little information on the tournament. 128 players going one-against-one in face to face, single elimination matches of no-limit Texas hold'em, the winner of the 888.com WHPC 2007 will take home a massive €125,000 of a €320,000 total prize pot. The final 16 all receive a share of the overall prize pool. Twelve lucky players from 888 Poker have already won their seats in the WHUPC. Online qualifiers have been running at 888.com since April 2007. Winning players from 888's "The Matador" Freeroll were also given the chance to win one of a minimum of four seats. Matt Robinson, Marketing Director 888.com commented on the deal: "This is an exciting period for 888.com. We're continually looking at new events to associate the brand with and to be the title sponsor of the largest headsup poker tournament in the world continues to help 888.com cement its position as one of the leading poker rooms." Jon Shoreman of the World Headsup Poker Organisation said: "It is extremely gratifying to be able to attract a title sponsor with the credentials of 888.com. The WHPC is known among players for the quality and integrity of its playing structure. We are honoured to have this recognised by a site like 888.com."